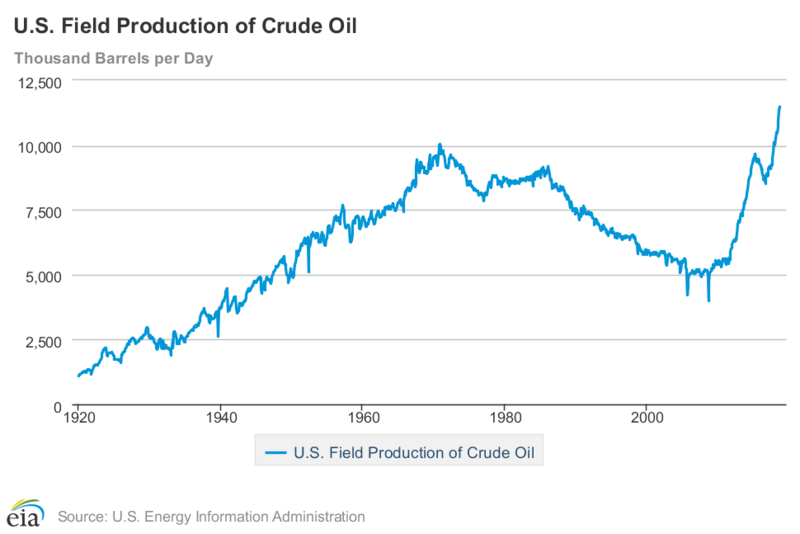 U.S. oil production peaked in 1970 and then began a slow, decades-long decline. Like most people, I assumed the decline would continue indefinitely. It seemed we had extracted most of the oil that was cost-effective to extract, and now other countries could produce oil more cheaply. In 2008, no one was expecting a sudden recovery. Well, let me re-phrase that: I wasn't expecting a recovery, and if energy industry experts were bullish at the time, their optimism didn't trickle down to the masses. 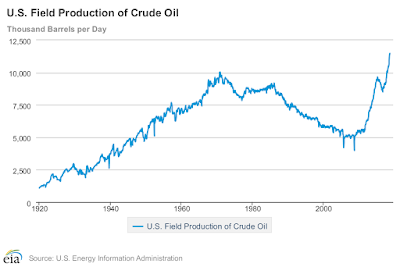 Nevertheless, U.S. oil production not only increased after 2008 but reached record levels -- all in just ten years! This is an amazing accomplishment for the energy industry and one of the U.S. economy's great success stories. Most people have heard about fracking, horizontal drilling, the North Dakota boom, and so on. But how many people are aware that the overall production increase has been this steep? A candle that burns twice as bright burns half as long.